Before you call for a Tow Truck, have us come look at your Vehicle. There is a good chance we can get it Running on Site for just the cost of a Service call! First Call Roadside provides roadside assistance services in Denton and Gainesville TX and surrounding areas. Cars, trucks, motorcycles, vans, SUVs, RVs and Semi Trucks – our experienced drivers can handle all of your roadside assistance needs – anything from break downs to car accidents, we will arrive quickly to get you the help you need. We will be happy to serve you at your home, workplace, or on the side of the road. Our typical Roadside Assistance call arrival times average 20 to 25 minutes and our drivers work quickly to get you back on the road! We specialize in road service, accident scene response calls and off road recovery winch outs. First Call Roadside offers friendly and dependable road service at a price you can afford. We are willing to go that extra mile for you, local and long distance. We service from Lewisville Texas to Ardmore Oklahoma and everywhere in between. At First Call Roadside you will always get the best value for your money. We are licensed and certified by the state. We are contracted with major fleet, motor clubs and insurance companies to ensure that you do not have to pay out of pocket for service. In the event that you do have to pay out of pocket, we have ensured that our pricing is competitive and affordable during your time of need. Our technicians are well trained, equipped, fast, honest, friendly, courteous and professional while assisting you with your vehicle during a breakdown period. We will do our best to try to get you back on the road and if we cannot we will standby while a tow service is in route to assist you to the best of our ability. We can refer a reputable towing company. 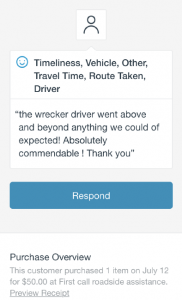 We look forward to having you as a customer but are sincere in hoping that you will not need our roadside services. Being and staying on the road problem-free is our number one goal for you! Before you request a tow, let us come look at your vehicle and see if we can jumpstart it. You will only pay for a service call which will save you lots of money. Our mobile mechanic service drivers at First Call Roadside have over 15 years mechanical experience and are often able to get your vehicle running on the spot or can recommend a local shop for a low cost, fast repair. Our preferred shop has extended hours and is open weekends too. You have a junk car problem, First Call Roadside Assistance can fix it. Let us buy your vehicle for cash and haul it off for you. We pay you instant cash on the spot. Give us a call today. Our friendly and knowledgeable associates are waiting to hear from you!